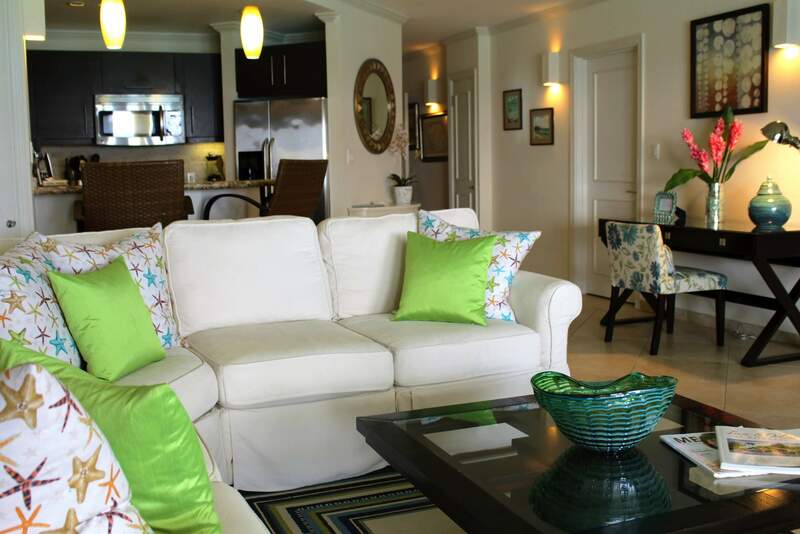 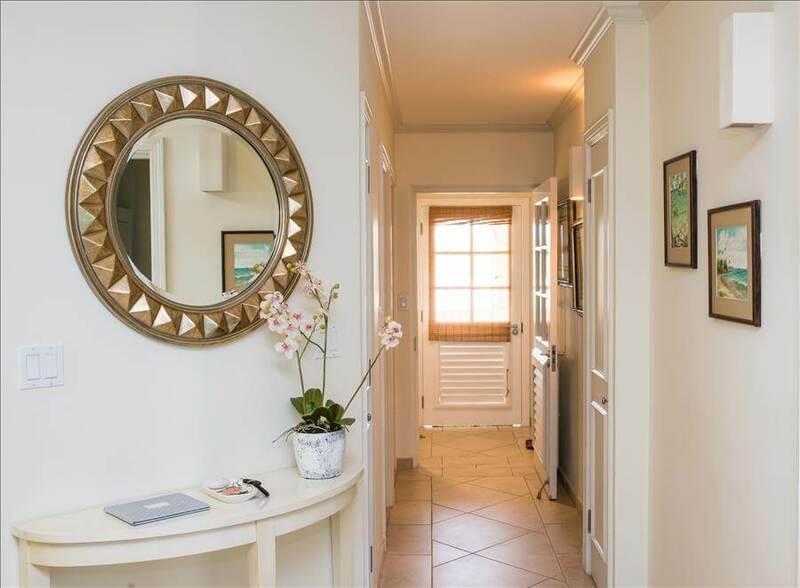 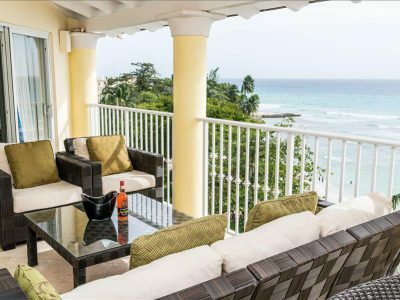 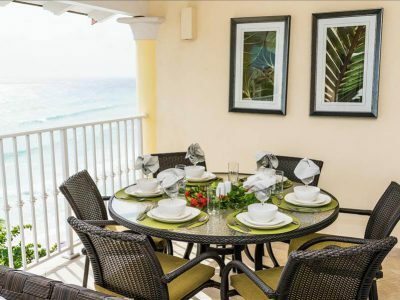 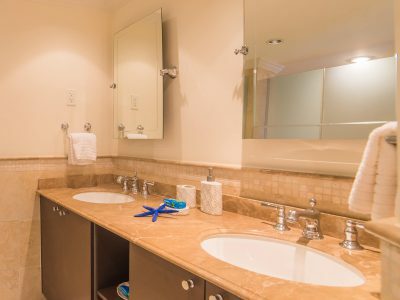 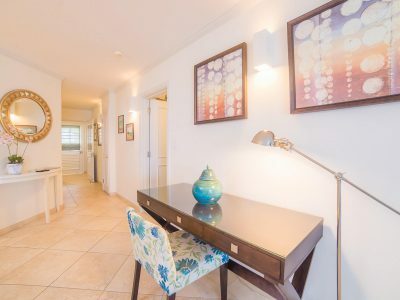 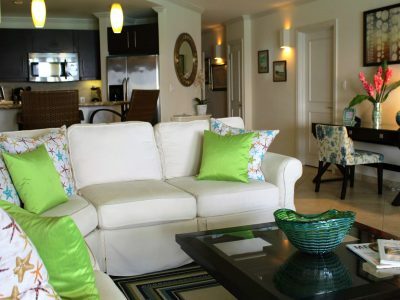 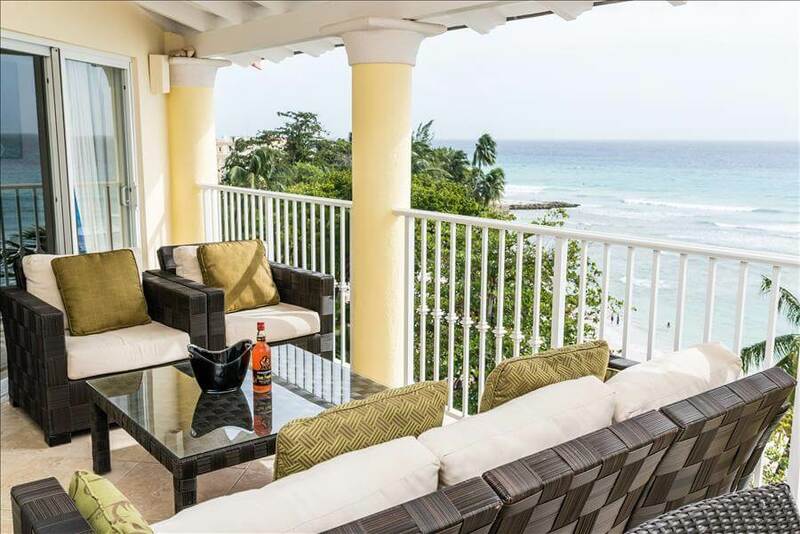 Sapphire Beach 503 is a beautifully appointed three bedroom penthouse apartment on the 5th floor of the complex. 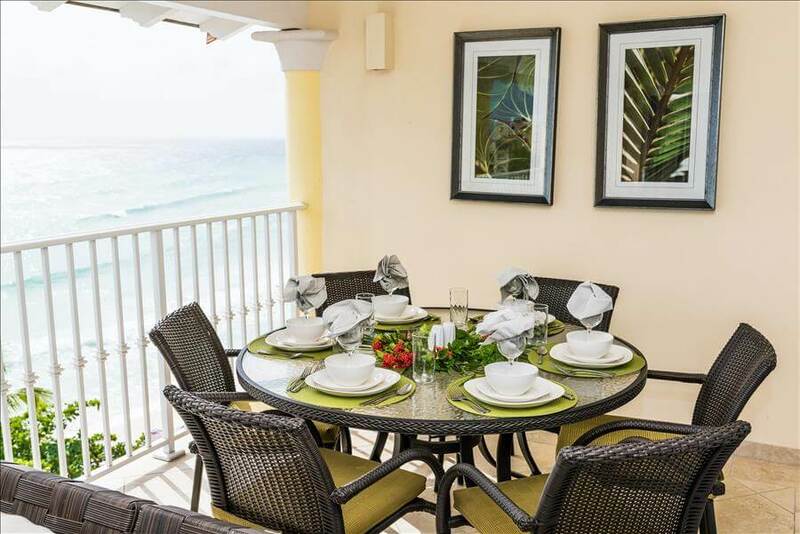 There is a spacious living area with flat screen cable television that opens straight onto the dining patio and the beautiful views beyond. 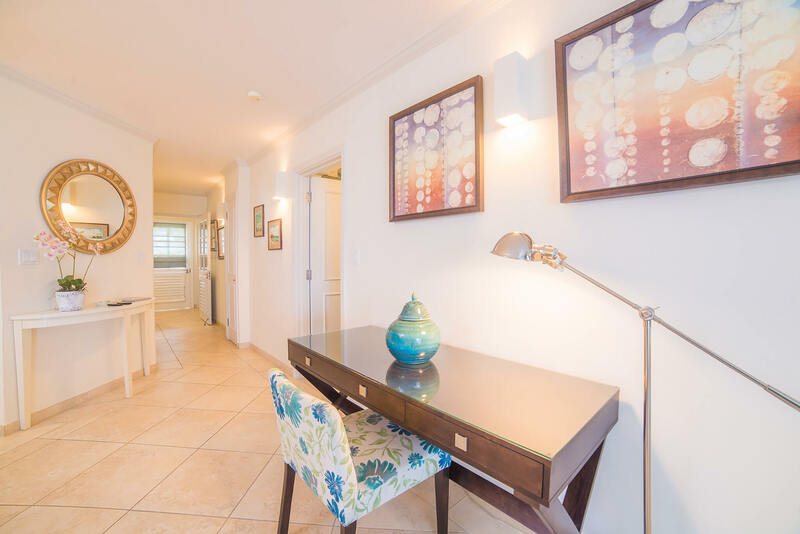 The kitchen is open planned and fully equipped with all modern conveniences. 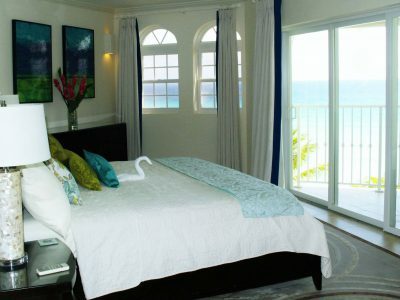 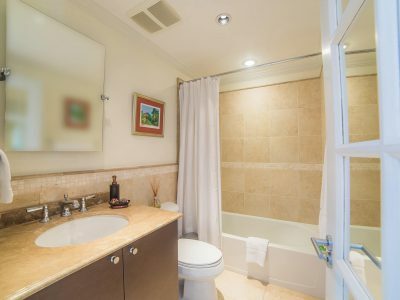 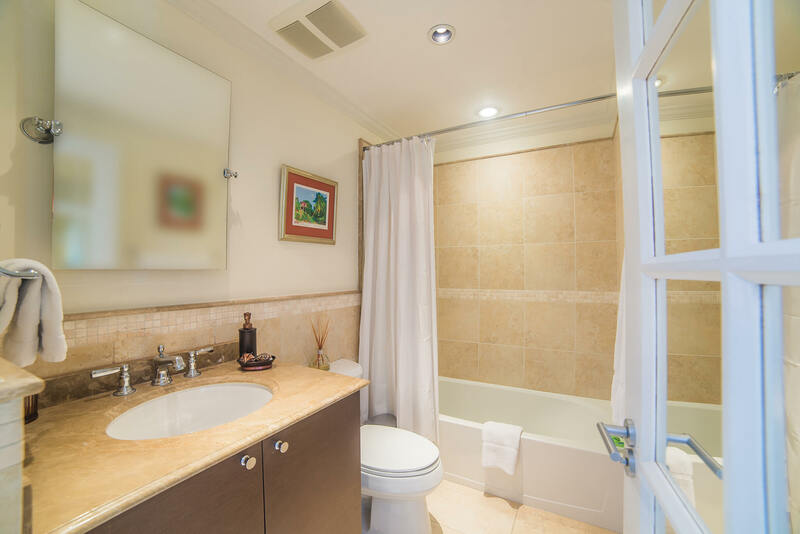 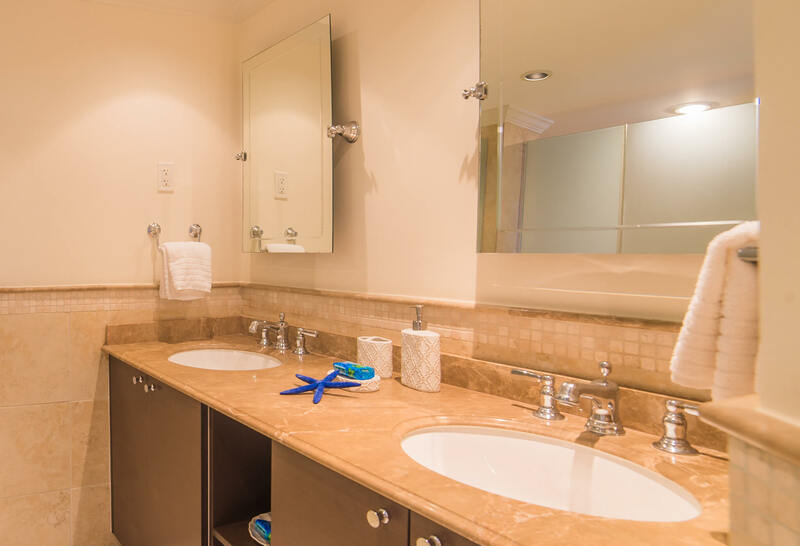 The master bedroom comes equipped with cable television, en suite and ocean front facing balcony. 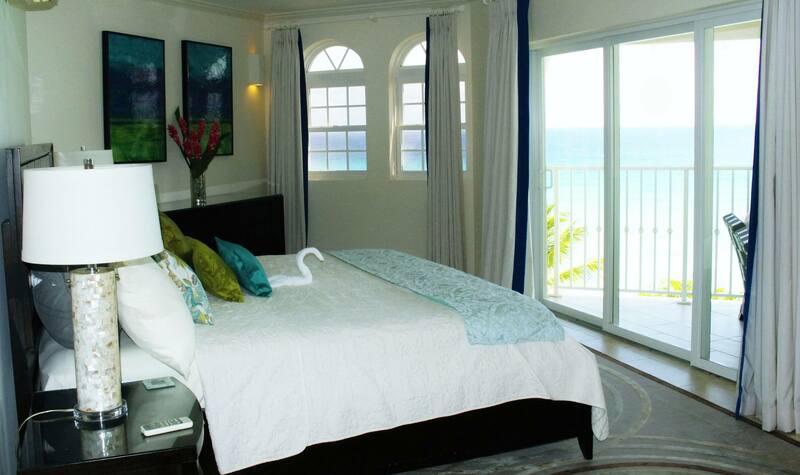 Bedroom two is also en suite with a queen bed. 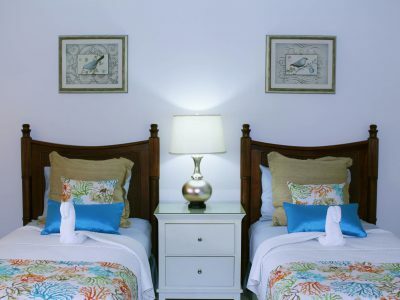 Bedroom three is adjacent to bedroom two with two single twins and access to the bathroom in the hall. 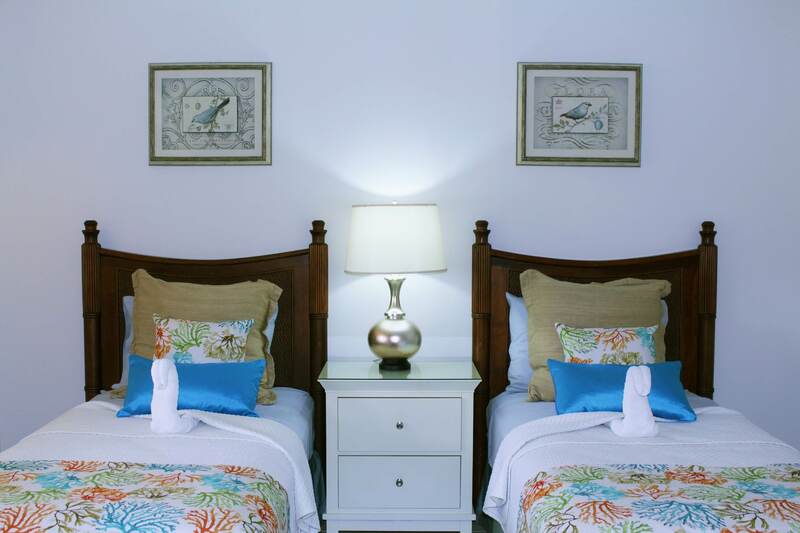 All rooms have ample storage, air conditioning and ceiling fans.